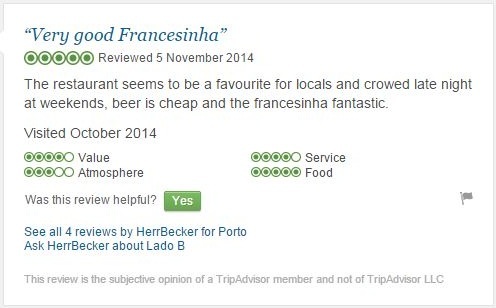 Lado B Café, owner of “The Best Francesinha in the World” brand, was awarded the Certificate of Excellence by TripAdvisor, the largest travel social network in the world. 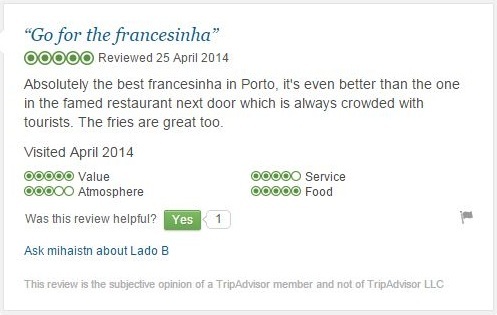 “A Melhor Francesinha do Mundo” (“The Best Francesinha in the World”) is a registered trademark of the restaurant Lado B Café. 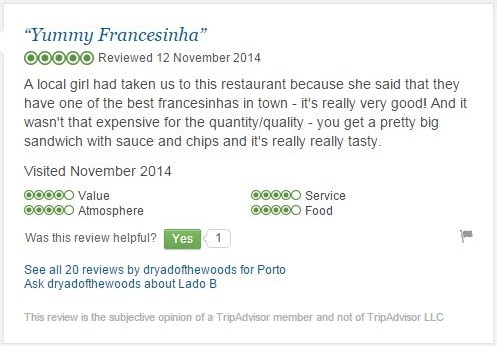 It was created in 2013 with the purpose of celebrating, valorising and promoting a product that is one of the most iconic symbols of Porto’s gastronomy. 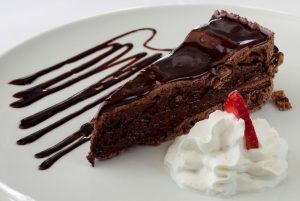 Lado B Café is proud to be the official vendor of the brand “O Melhor Bolo de Chocolate do Mundo” (“The Best Chocolate Cake in the World”). 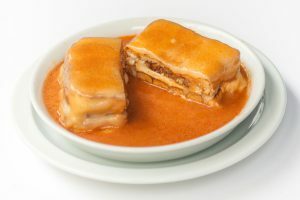 If you are a vegetarian, you can now enjoy The Best Francesinha in the World, as Lado B has created a francesinha following the strictest precepts of vegan culture. 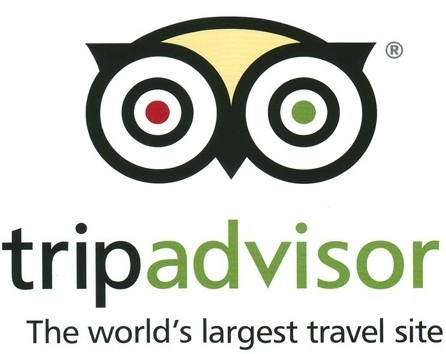 Lado B Café was honored for the third consecutive year with the "Certificate of Excellence" of the TripAdvisor guide, the world's largest travel social network. If you passed on Side B and liked it, be sure to make your recommendation on the respective page. ©2014-2018 All rights reserved. 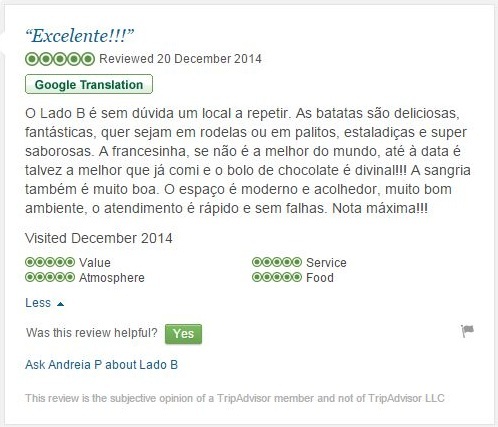 The copyrights of the contents of this website belong to Lado B Café.